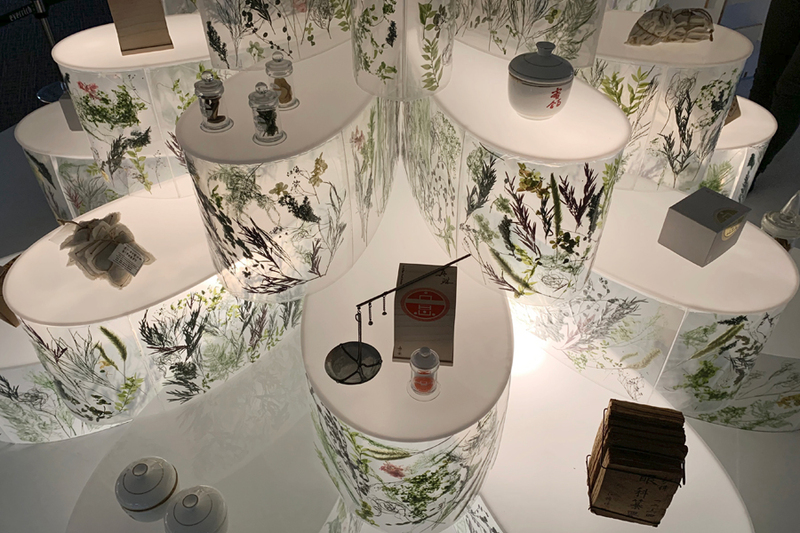 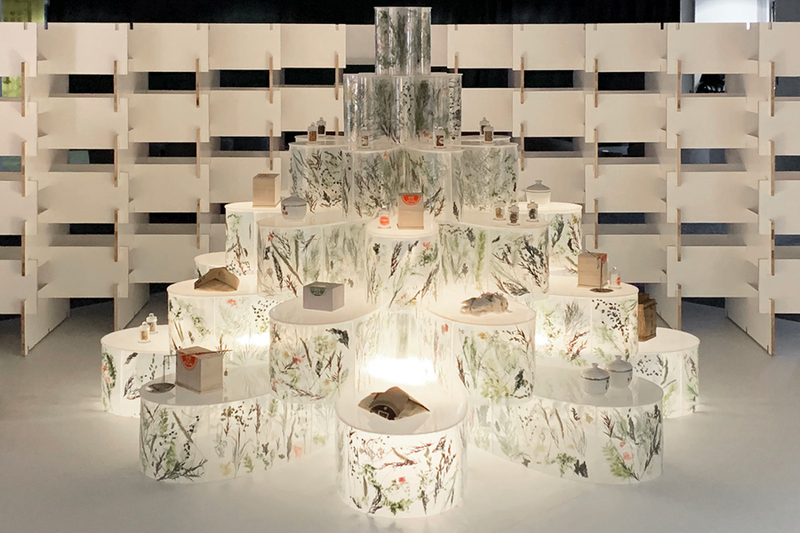 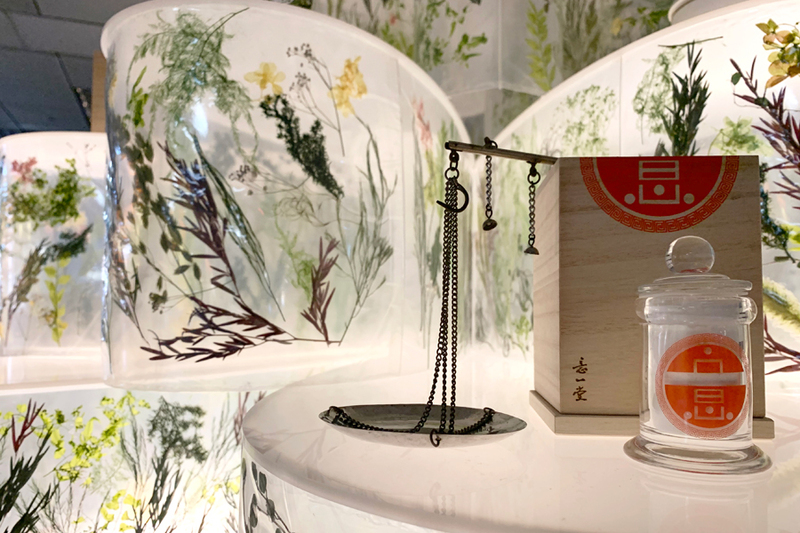 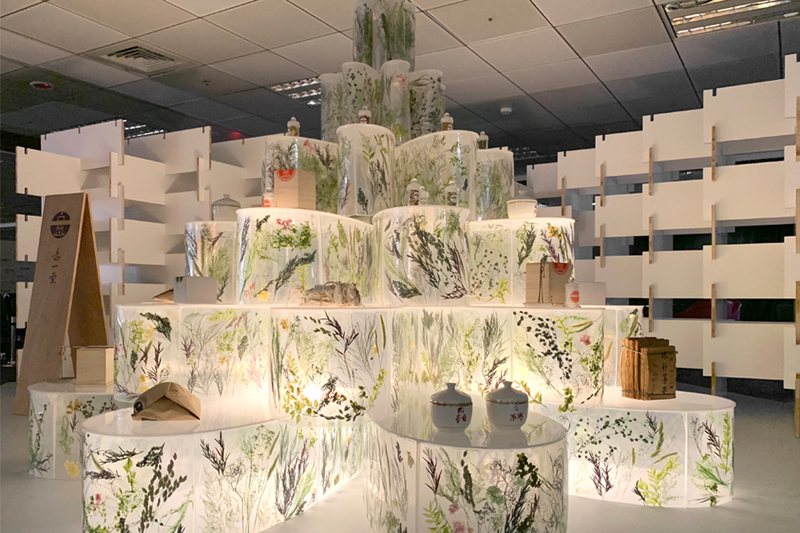 Packing PCS Corporation Flower Tower is a display furniture for Essentia to introduce traditional Chinese medicine placed in Songshan Airport, Taipei. 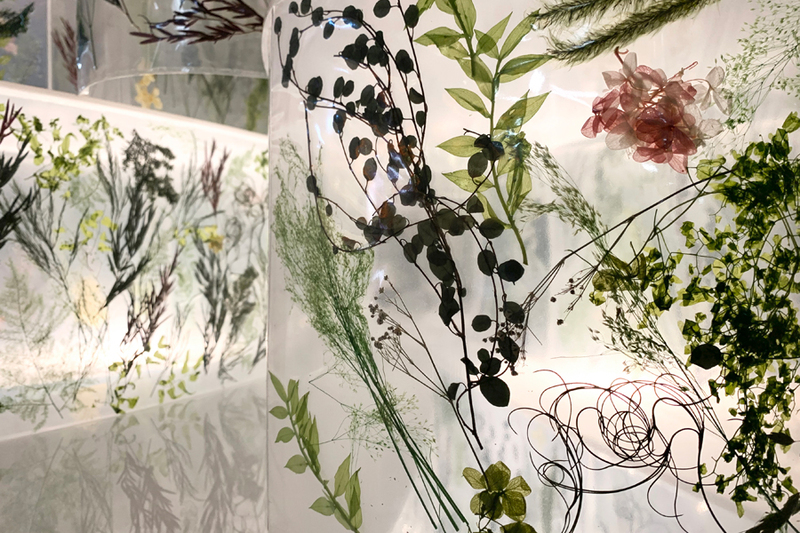 The structure is composed of series of plastic vacuum bags enclosing dry herbs and flowers together with 1mm thick plastic plate. 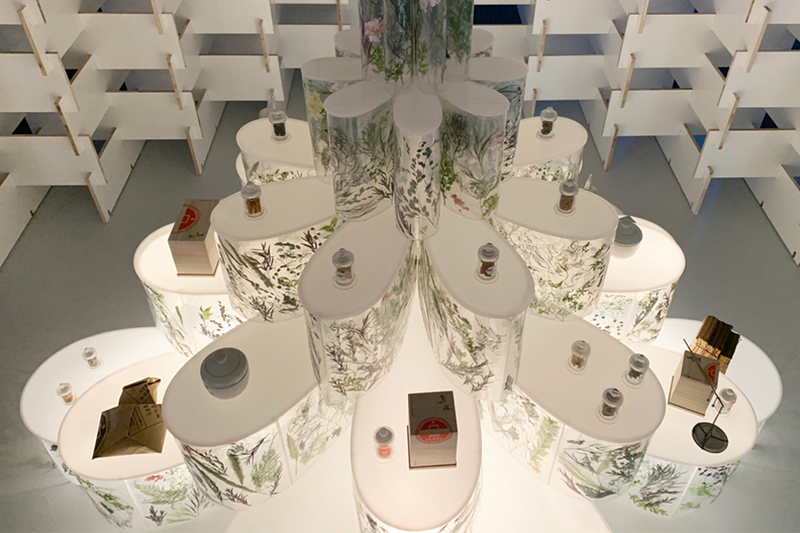 Petal figured structural face plates are stacked to support a total of 48 display tops. 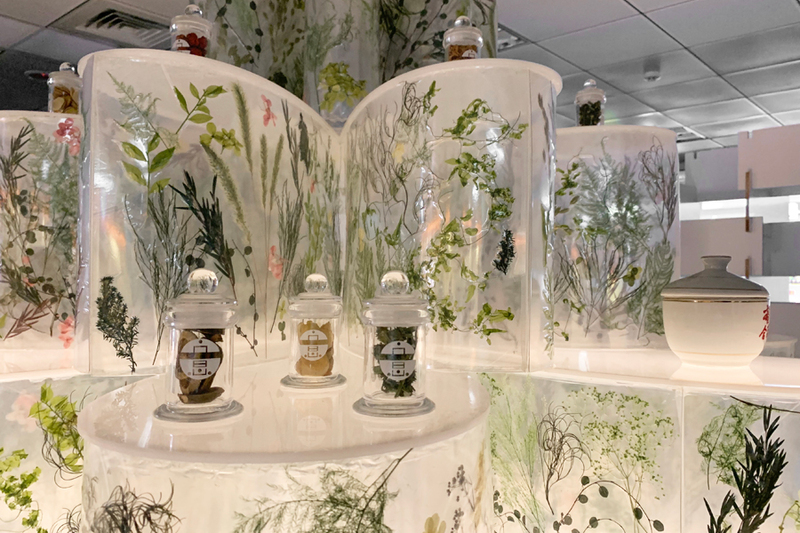 This ultra-thin structure showcases traditional organic herbs and expresses ephemerality in space with lightness and softness.